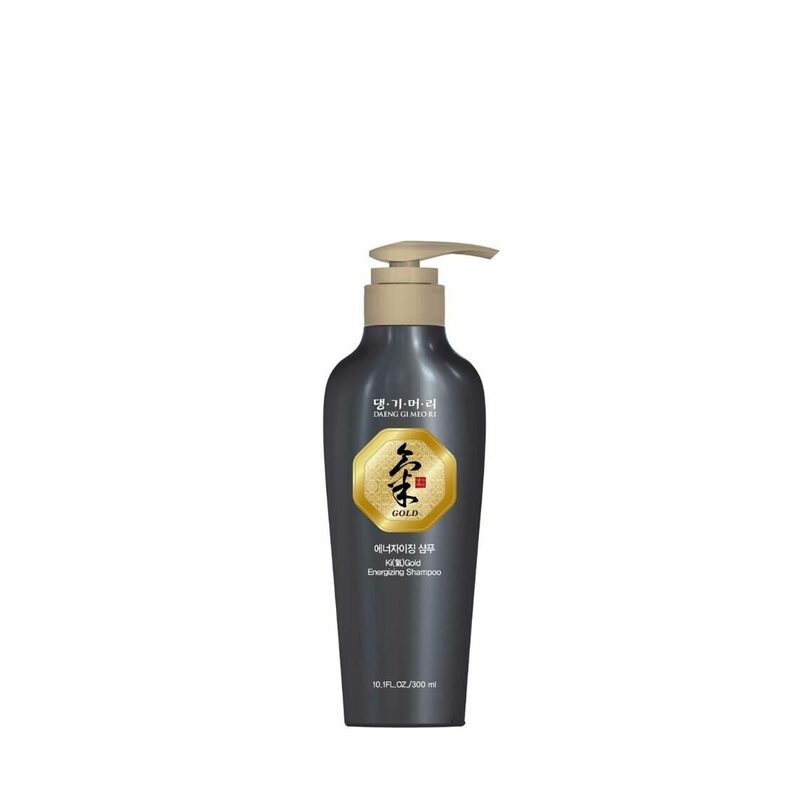 Ki Gold Energizing Shampoo has the effects of improving scalp health and hair protection. It contains Gujeolcho (Chrysanthemum zawadskii Herbich), which has a cleansing effect, and Machihyun (Portulaca oleracea), which makes the scalp healthy. It restores healthy scalp by reducing dead skin cells and itches. Suitable Scalp/ Hair Types: To prevent hair loss, mild dandruff, scalp itchiness. Main Ingredients: Chrysanthemum Zawadskii Herbich, Ginseng, Skin Of Morus Alba L.root, Berries Of Korean Honey Locust, Cnidium, Mugwort, Portulaca Oleracea L., Tocopheryle Acetate. How to use Ki Gold Energizing Shampoo: In case of oily scalp, apply every morning and evening for better effects. When shampooing, two applications will get better.